Welcome to Shiloh’s Public Document Access. Please keep checking back because we will continue to add documents as we have time. If there is something you need that you don’t see here please Click Here to Contact Me. 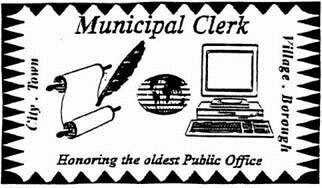 The Municipal Clerk position, dating back to biblical times, is among the oldest of public servants. I am proud to be a part of a profession that has adapted to change – from the quill pen to computers – in order to continue to serve the public. My quest daily it to provide exemplar customer service. I strive to deliver information in a timely, professional and transparent way. Please contact me if you need information for municipal services. Acts as a liaison between local government and its citizens. Is the Local Election Official. Validates Official Documents & Administers Oath of Office. Custodian of the official Village Seal. Serves as a Notary Public. Publish all notices as required by law. Processes contracts and agreements approved by the Village Board. Maintain and update Village Municipal Code Book & Personnel Policy. Records Management – Plan & direct the maintenance, filing, safekeeping and computerization of all municipal documents. Receives, distributes and files correspondence from citizens and other governmental agencies. Provide requested information to other Village departments, other municipalities, County, State & Federal offices. Responsible for preparation and \ or filing of County, State & Federal Reports. Coordinates technology needs of the Village. Negotiates contracts for equipment & services for office needs. Oversees Shiloh Website and Facebook Page. 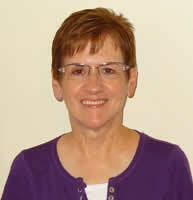 Oversees Shiloh Picnic and all Community Events.